The Hall of Valour honours the one hundred Australians who have received the Victoria Cross and the nine Australian Defence personnel who have directly received the George Cross. The Victoria Cross, the highest award for bravery in the face of the enemy, was instituted in 1856 by Queen Victoria and made retrospective to 1854 to cover the period of the Crimean War. It was awarded to Australians for valour in several major conflicts since the Boer War until replaced by the Victoria Cross for Australia in 1991. The change was minimal; the bronze cross and maroon ribbon was retained and the new award carried all the prestige and tradition of the Imperial Victoria Cross. The Hall of Valour recognises the deeds of ordinary Australians under the extraordinary conditions of war. In 1940, the George Cross was introduced as a bravery award of equivalent status to the Victoria Cross. It was awarded to civilians and servicemen and women in recognition of courageous acts that did not involve contact with an enemy. In 1975 it was replaced in Australia by the Cross of Valour. Featuring Keith Payne VC, Mark Donaldson VC, Benjamin Roberts-Smith VC and the Memorial's Nick Fletcher. 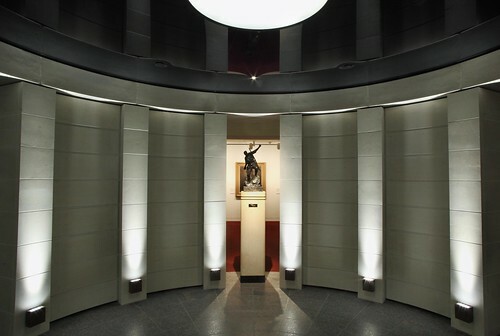 Peter Burness explains the significance of the Hall of Valour, the qualities of those awarded the Victoria Cross and the definition of valour. This is the story of the lives of these men who won the Victoria Cross in an area noted by historian Charles Bean as “more densely sown with Australian sacrifice than any other place on earth”.